Stardust was launched in 1999 to chase the comet Wild 2. The spacecraft captured particles from the tail of the comet. The samples showed that cometary materials have undergone a great deal of alteration since the birth of the Solar System – such as heating and melting when comets pass near the Sun. In addition, the spacecraft also pointed its collectors toward bust blowing in from interstellar space. Stardust spent 200 days catching particles of dust during its mission. In 2006, Stardust returned to Earth and ejected a reentry capsule that carried its samples into the hands of eager scientists on our planet. 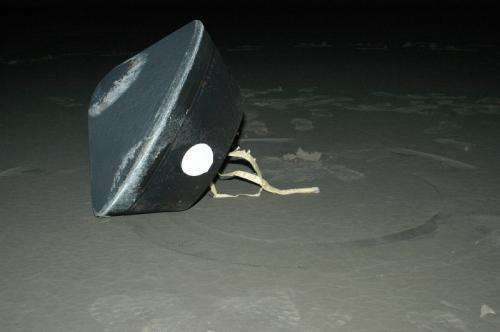 When they opened up the capsule, it quickly became clear that the samples were going to be very difficult to retrieve. 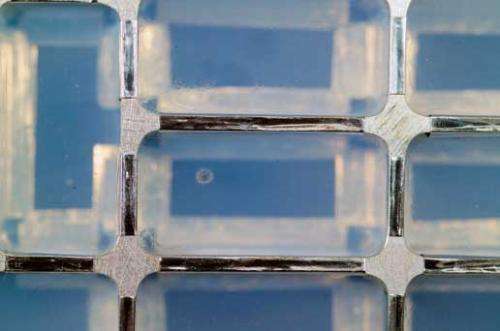 The particles were embedded in a substance called 'aerogel,' which was used to catch them… but they were so tiny that it was nearly impossible to spot them. To solve the problem, scientists developed the Stardust@home project, where over 30,000 members of the public helped hunt the particles down. The study authors report, "More than 30,000 volunteers carried out track identification in aerogel by searching stacks of digital optical images of the aerogel collectors, using an online virtual microscope." Ultimately, after one hundred million searches, only seven likely samples of interstellar dust were found. There were many more tracks identified, but according to the study, "Most of the tracks had trajectories that were consistent with an origin as ejecta from impacts on the solar panels." Now, the trick is getting the seven potential samples of interstellar dust out of the aerogel and into instruments that can analyze them. Stardust was the first NASA mission since Apollo to return samples to Earth. The total weight of the seven specs of dust is only one trillionth of a gram, but the materials could reveal important details about how our solar system was born. Studying the origin and evolution of the Solar System is important for astrobiologists who are trying to determine the conditions that lead to habitability on Earth. This information will help researchers hunt for similar, inhabited worlds around distant stars. More information: Westphal et al. (2014) Final reports of the Stardust ISPE: Seven probable interstellar dust particles. 45th Lunar and Planetary Science Conference. Looks like a comet but feels like an asteroid? That's wild!